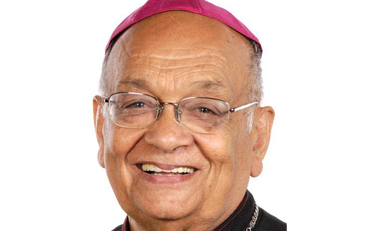 Archbishop Lawrence Patrick Henry, Emeritus Catholic Archbishop of Cape Town, passed away suddenly at 23h45 on Tuesday 4 March 2014 after a short illness. Archbishop Henry was born in Cape Town on 27 July 1934. He was orphaned at the age of three and was raised by his grandmother. He attended 5t Raphael’s Primary School from 1941 to 1946 and 5t Colomba’s Secondary School form 1947 to 19S0. By the time he matriculated he had decided that he wanted to be a priest. As a consequence of the apartheid system he was not able to pursue his priestly studies in South Africa and was admitted to Propaganda College and Urbaniana University in Rome in 1956 where he obtained a Bachelor’s degree in Philosophy and Theology. He was ordained priest on 22 December 1962. On his return to Cape Town he was appointed assistant priest at Holy Cross Parish, District VI where he served until 1966, when he was transferred to assist at Holy Trinity parish, Matroosfontein. He subsequently went on to serve as the Parish Priest of St Martin de Porres, Corpus Christi and Sts John and Paul. On 14 May 1987 he was appointed auxiliary bishop to the late Archbishop Stephen Naidoo. Upon the death of Archbishop Naidoo, Pope John Paul II appointed Bishop Henry Archbishop of Cape Town and he was installed on 17 July 1990. Throughout his ministerial life he was known for his sense of humour, his joy and his love for people. He always had a pastor’s heart and had great concern for those afflicted by poverty, for the victims of injustice and racial discrimination. He loved to be with people and stood little on the pomp and ceremony of episcopal life. He was down to earth and always available and accessible to the ordinary person. He will be much missed, not only by the Catholics of the Archdiocese of Cape Town, but by many people of different faiths and denominations who knew him. 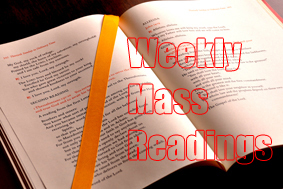 Evening Prayers followed by a Vigil Mass will be held at St Mary’s Cathedral, Cape Town on Friday 14 March 2014 at 19h00 and the Requiem Mass will take place at the Good Hope Centre on Saturday 15 March 2014 at 10h00. Issued at the Chancery, 12 Bouquet Street, Cape Town on 5 March 2014.